Our new blog series ‘Examining the Experts’ asks leaders and experts in assessment – practitioners and consultants, authors and solution providers – to share their experience and knowledge on examination design, certification management and the changes brought by online assessment software and examination technology. 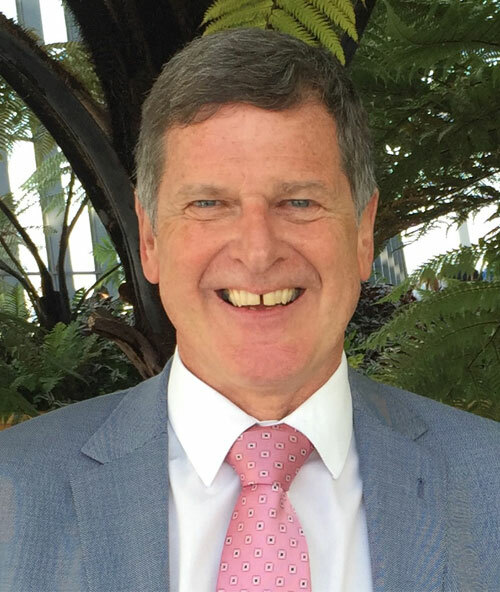 Today's contributor is Peter Bennett FCIB, who been involved in the design and development of examinations and competence assessment programmes for more than 20 years. He formed QuestionBank Management Ltd in July 1995, which in January 2015 became Assessment Design and Development (ADD). Peter is a Fellow of the Chartered Institute of Bankers, a member of the Institute for Credentialing Excellence (ICE), runs workshops for the Federation of Awarding Bodies on the ‘Design and Development of Examinations and Assessments’ and has been engaged as the lead consultant for the introduction of many examinations for professional bodies. Read on to learn from Peter’s wealth of experience, including inspirational thoughts on what assessment is trying to measure and how we should do it differently. First, I’m not sure anyone plans a career in assessment do they? I certainly didn’t. However if there is anyone out there quietly contemplating whether they should be a derivatives trader, a brain surgeon, a rocket scientist or a specialist in the field of assessment design and development my advice would be to go west and study for a degree in psychometrics from a university in the USA. Well I have been rather a long time at it so there is no doubt that electronic delivery of tests has allowed for much more flexibility and efficiency. Since then there have, of course, been other innovations like remote invigilation, electronic marking etc, but those first pioneers some 25 years ago really laid the foundations for all that has come afterwards. Oh blimey, there are so many to choose from that I’m not sure which is the biggest. Perhaps the main three are: 1. Satisfying those regulators who seem to change the rules with frustrating frequency; 2. Global demands for UK qualifications, meaning that translations are required that will still produce fair and valid assessments; 3. To what extent and how they should embrace electronic design, delivery and marking. Easy - it will be phased out. Although having said that it won’t be until the test delivery companies can come up with innovative business models which will suit the myriad of awarding bodies, of varying sizes, in different phases of development and which work in different markets. I’m not sure I have seen anything that is truly dramatic. I think we basically continue to do what we have always done but, because of the advent of electronic design, delivery and marking, with a little more efficiency and flexibility. Why do we still have to have exam sittings twice a year or three times a year or whatever, surely we can now begin to run examinations whenever is most suitable for the candidates? Why do all school examinations have to take place at the same time; wouldn’t it be better for students to study a few subjects at a time, take the examinations and then study a few more rather than have all the subjects at the end of the school year? Why do we still force candidates to attend a particular place in order to take their examinations? Why, unless we want to assess someone’s hand writing, can’t candidates type their answers? Why, unless we truly want to assess that a candidate can communicate in concise, understandable English, must they be assessed by writing an essay? And finally the million dollar challenge – let’s find a way to measure what we truly want to measure - changes and growth in an individual’s knowledge and abilities - without the need for any type of formal of examination. As if to completely support the points I have made above, it was a guy who got stuck in traffic and so couldn’t make the examination venue. He completed his examination on his lap top, in a service station car park. And……….yes, he passed. (Editorial note: The candidate was using TestReach remote invigilation to complete his exam securely, using the hotspot on his phone to connect to the internet! Read the full story of remote invigilation at the Institute of Directors here). Around 25 years ago I left the field of professional training in the financial services industry and moved into that of designing and developing assessments. Within a couple of months I had a very lucky break. I was invited to work with an American AO to produce a competence assessment test which was going to be rolled out worldwide. This brought me into contact with Jackie Callaghan who became my assessment guru. In the States, even then, there were competence assessments for literally every occupation. Jackie opened up a brand new exciting opportunity for me and amongst other things, introduced me to the wonders of facility values, discrimination values and even Cronbach’s Alpha. Since then I have been lucky enough to be paid to travel the globe working on every continent except the Arctic and Antarctic, taking in over 20 different countries and including 15 different cities across the USA and seven in China. What business book or blog do have you found most interesting or useful in the past year? Peter Bennett FCIB has been involved in the design and development of examinations and competence assessment programmes for more than 20 years. He formed QuestionBank Management Ltd in July 1995, which in January 2015 became Assessment Design and Development (ADD). Peter deals with the design, development and management of examinations and competence assessment programmes for awarding bodies, professional bodies and internal company use. Peter is a Fellow of the Chartered Institute of Bankers, a member of the Institute for Credentialing Excellence (ICE), was the UK’s competence assessment expert on ISO/TC222222 for Financial Planning, runs workshops for the Federation of Awarding Bodies on the ‘Design and Development of Examinations and Assessments’ and has been engaged as the lead consultant for the introduction of many examinations for professional bodies. The Institute of Directors where he has been engaged to review and implement changes to the whole assessment suite culminating in Chartered Director status. The Fire Industry Association Awarding Organisation, where he is guiding them through the introduction of their qualifications. Institute for the Motor Industry on their Apprenticeship End Point Assessments. SQA where he is an external verifier of the HND in Financial Services. The Chartered Institute of Securities and Investments where he is writing items for a number of its examinations.